Some of these writings are over ten years old. Time marches on and new history is made as it pertains to many of the people and places referenced here. Revising and updating in this regard has proven difficult. Please keep that in mind as you read through these histories. Over the past ten years or so quite a few people, including myself, have talked about doing a book on local African American history. Some of these good folks have moved away. Others have passed away. In my case, as a white person, I did not want to appear presumptuous or offend anyone by doing a "history" of someone else's heritage. It just felt awkward. Furthermore, at this point in time I just didn't have the energy or "where-with-all" anymore to undertake a self-publishing effort of that type. But something still needed to be done to at least get what information remains or is remembered recorded and available in some fashion. In spring 2007, thanks to the Western Maryland Historical Library (WHILBR), part of the Western Maryland Regional Library, I was able to develop a website, in conjunction with WHILBR, on Historic Women of Allegany County. This has since gained national recognition and has also been linked to the websites of several historical institutions. It was with this thought in mind that I approached Western Maryland Regional Library about undertaking a similar effort on African American history. And they agreed. As with the women's website, this is not intended to be an in-depth scholarly effort. I am just an amateur, or what some would call a "public" or "popular" historian, and this is just a hobby. This website is simply an overview of the people, sites, events, and history that I had readily available pertaining to local African American history. As with the women's website, I did not necessarily restrict myself to just Allegany County, but also occasionally incorporated items and people from Garrett, Washington, and even Frederick Counties, Maryland, as well as Mineral and Hampshire Counties, West Virginia. The information included from these jurisdictions is indeed minimal and is in no way meant to be a thorough overview of their respective African-American histories. The information was merely readily available to me. I felt it would be of interest to the reader and enhance the Allegany material which is the primary and dominate focus of the site. I have also included a chapter containing over fifty obituaries, mostly from the Cumberland Times-News on-line archives. I'm sure more than one name will spark a memory. As with everything else on this website, I felt it important to note these items as well as part of our local African American history. The obituaries describe the types of jobs, schools and churches attended, family life, hobby, and community pursuits of our local African American community over the past 100 years better than anything I could write. They also provide some important genealogical information. At the same time, I hope the family members of the numerous obituaries included see this as a small memorial, remembrance, and tribute to their loved ones. When first envisioned I had originally planned to include some Klan items on this website - but decided against it. After almost eleven months of soul-searching, we have now included about eight items pertaining to this topic under a chapter entitled, "Segregation, Intolerance, and Integration." Obviously, along with African-Americans this group's opposition to Catholics, Jews, and immigrants is also noted at various points within the associated text. I know some might feel this hurtful and damages what is for the most part a positive website. Others have noted, some strongly, that it is also "a part of our history", should not be ignored, and needs to be included. I hope you understand. As comprehensive as I tried to make this website with the resources available, there are gaps. There are also photographs included with people and dates that need to be identified, expanded upon with further information, or perhaps corrected. I have no doubt there are mistakes. There are also numerous instances when something could have just as easily been placed under one chapter as well as another, such as between Education and Integration. Visitors are encouraged to take the time to review each section if looking for a particular topic or information. A comment also needs to be made on the "Button Chapter". The 18 pages depicting over 150 buttons incorporated at the end and the associated narratives are meant to be a very brief overview simply highlighting some of the organizations, issues, events, and people involved in the civil rights, and other African American-related movements. Obviously, these are very superficial descriptions and characterizations of some very complex and often controversial subjects. Detailed research and information exists on each of these topics. It has always been my belief that these buttons are a most colorful and graphic depiction of our First Amendment freedoms of speech and assembly, visually characterize almost 100 years of public policy and debate vis-à-vis civil rights, and in this instance provide a nice complement to the local African American history presented in the earlier chapters. To me it helps place our community's history, whether it pertain to education, integration, or religion, within a national context. Also note that we have selected the original 1854 McKendree Methodist Episcopal Chapel on Centre Street as a generic icon for those entries within the Obituary Chapter for which we lacked an adequate image. A button depicting Dr. Martin Luther King, Jr. has also been selected for Black History Month related articles and events. Lastly, I would be sorely remiss if I did not acknowledge the Western Maryland Regional Library for not only their partnership, collaboration, and enhancement of this site's content, but their patience and work above and beyond the call of duty in making this Allegany County African American history website a reality. Western Maryland Regional Library is grateful to Al Feldstein for making his research on Allegany County's African American community available to us. Our thanks too to the community for sharing their stories and remembrances, and the Cumberland Times-News and other sources for permission to use their articles and photographs. 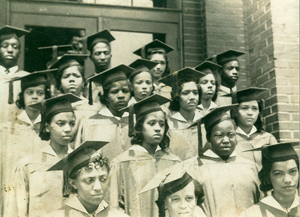 This website has been honored with the 2008 Maryland African-American Heritage Preservation Award, the 2008 Allegany County Chapter, NAACP Humanitarian Service Award for African-American History Education, the 2009 Maryland Historical Trust Preservation Award for Educational Excellence, and the 2010 National Council on Public History Project Award/Honorable Mention.